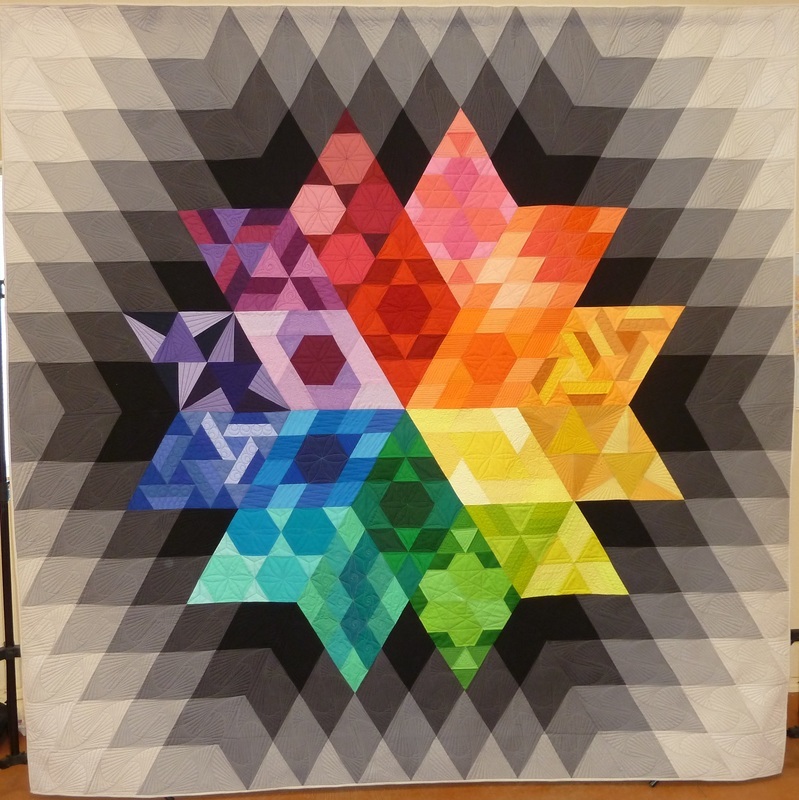 The Spirit of Chino 2016 - 2017 raffle quilt. 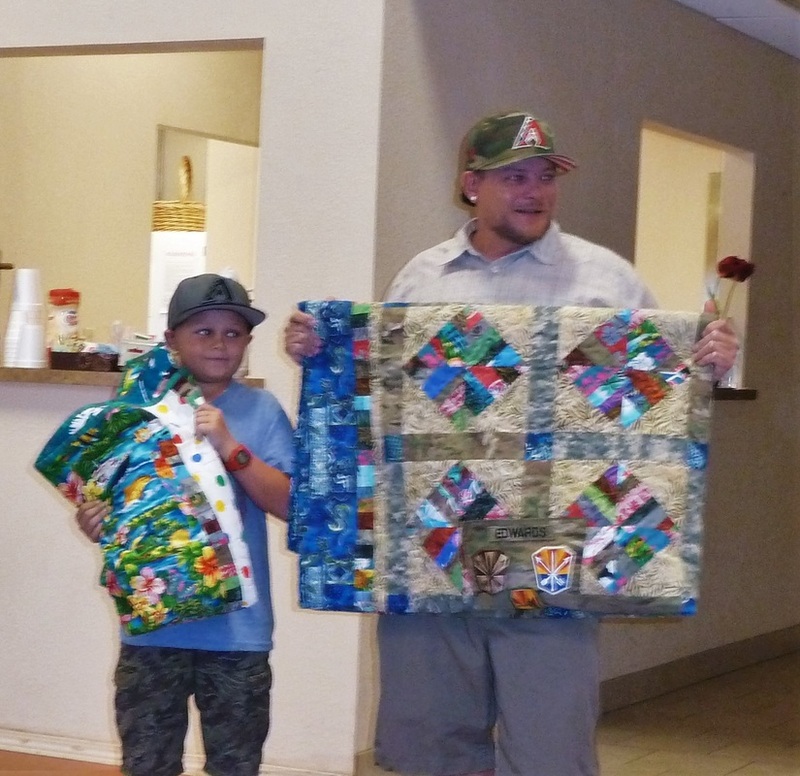 The Chino Valley Quilters are staging a raffle to raise funds for the orgnization. 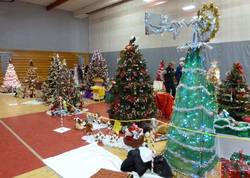 ​See full Chino Valley Review story here. . .
Oh Sew Fine, Oh Sew Happy! Justin Edwards had an idea. 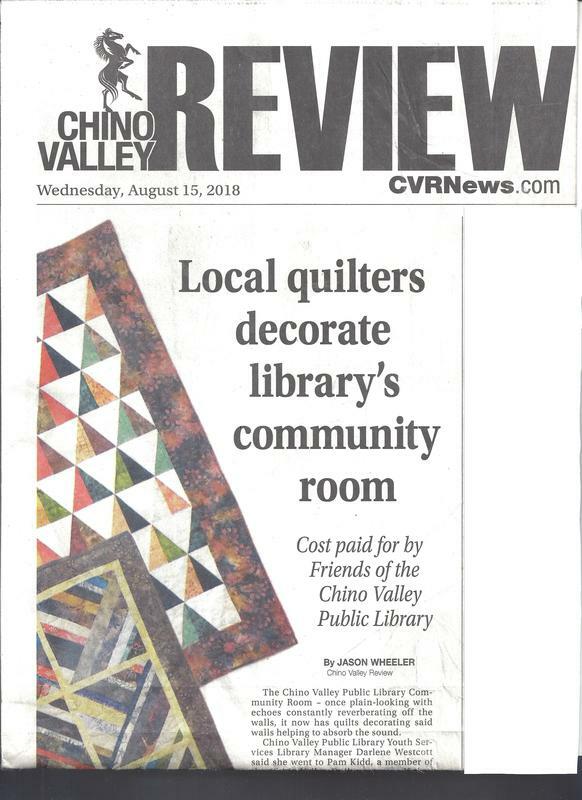 The Sew Fine Quilters Friendship group, one of six friendship groups that make up the Chino Valley Quilters, made it a reality. Read Justin's story here. 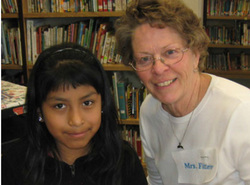 . .
CVQ members lead after-school quilting classes for Chino Valley elementary students. Prescott-area "Be a Santa to a Senior" thanks those who helped. 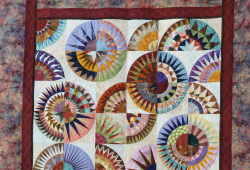 The Chino Valley Review's 2012 Quilt Show gallery. 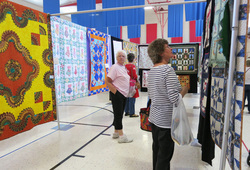 Chino Valley Quilters show, in its sixth year and larger than ever. 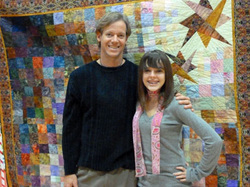 Sierra, an honors student from Scottsdale, had the winning ticket at the 2012 Quilt Show. 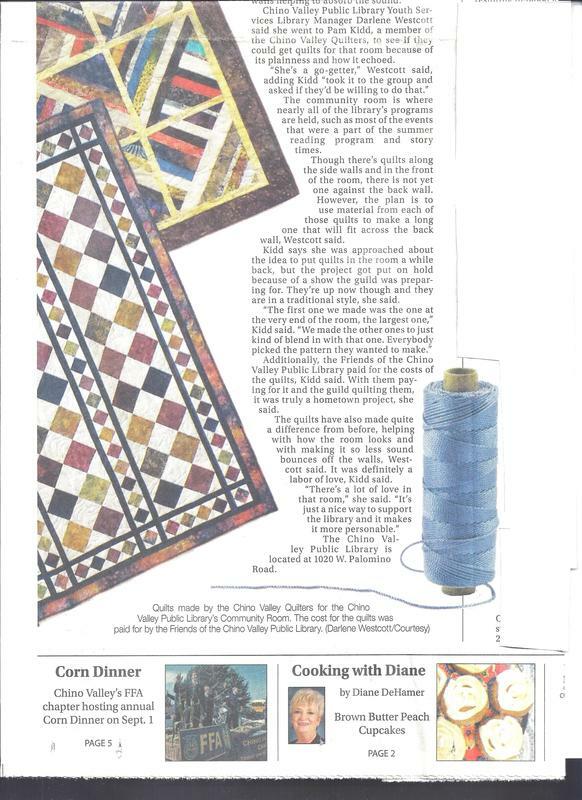 The history of quilting is said to have evolved from ancient Egypt and through the Middle Ages. .
CV quilter, Pat Lujan, talks about quilting history, quilting today, and her enjoyment of creating beautiful quilts. Chino Valley Quilters displayed the 2009/10 Opportunity Quilt, "Blue Heaven," at a fashion show and tea by the Chino Valley Lioness Club. 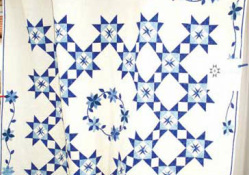 Many of our members are interesting, expert craftsmen with decades of experience sewing, teaching, and building quilting skills. Contact us for help with story research, story ideas, interviews, photos and more.